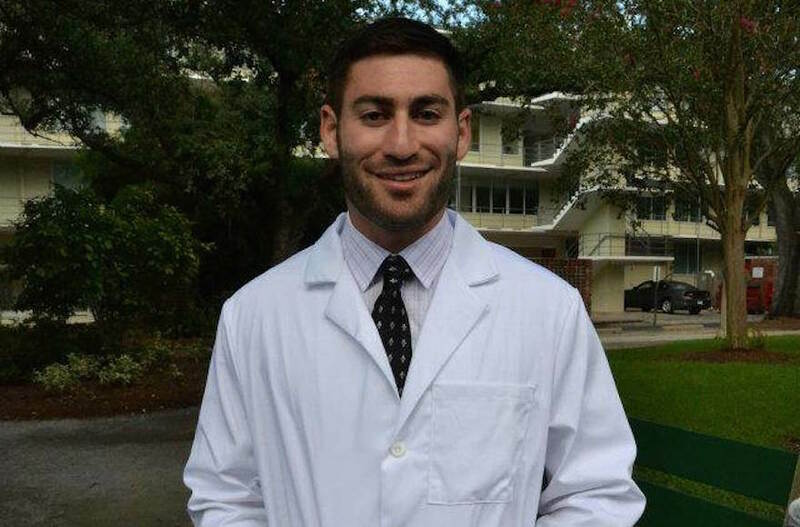 New Orleans - A family spokesman says a Tulane University medical student shot while stopping what authorities described as an apparent kidnapping has been released from a hospital. Sara Roen Brady of Winter Park, Florida, reached by phone Wednesday, says 25-year-old Peter Gold is expected to recover fully. She declined to provide further details. Online criminal court records show 21-year-old Euric Cain is being held without bond on charges of kidnapping and attempted murder, with bond on two lesser charges totaling $400,000. Police-released surveillance video showed a man dragging a woman toward an SUV on Nov. 20 and Gold pulling up. It shows a man shooting Gold in the abdomen, then trying to shoot him in the head. The woman escaped with minor injuries. Police say the gunman drove off with her purse. Mr. Gold is a hero and a mensch. His actions saved the life of a woman, risking his own life. May he be blessed.